Western Film Festival Photos--Memphis 2011, page 2. 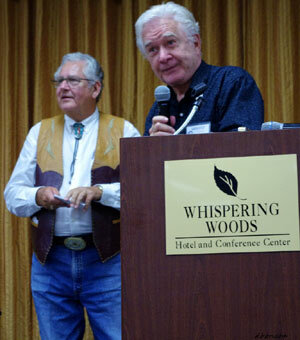 More photos from “A Gathering of Guns 3—A TV Western Reunion” at the Memphis Film Festival, co-sponsored by WESTERN CLIPPINGS, June 2-4, 2011, at Whispering Woods Hotel and Conference Center in Olive Branch, Mississippi. The Thursday night Pool Party was a huge success. We’ll do it again next year. 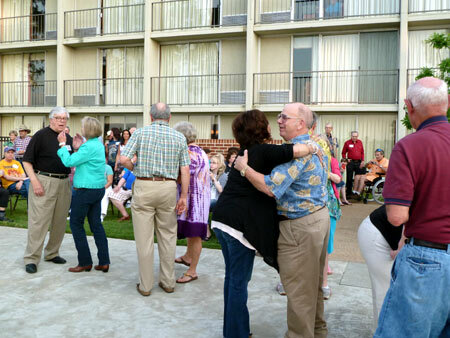 That’s Roberta Shore in the green with husband Ron and festival sponsor Ray Nielsen with Mary Hampton (James’ wife). Rock ‘n’ Roll! 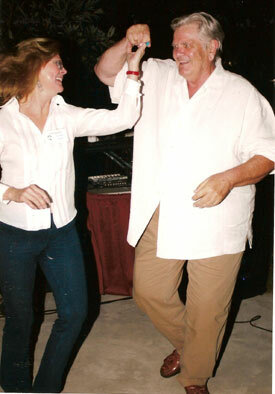 Stuntman Lou Elias (James Stacy’s brother) dances at the pool party with Lacy Barras. 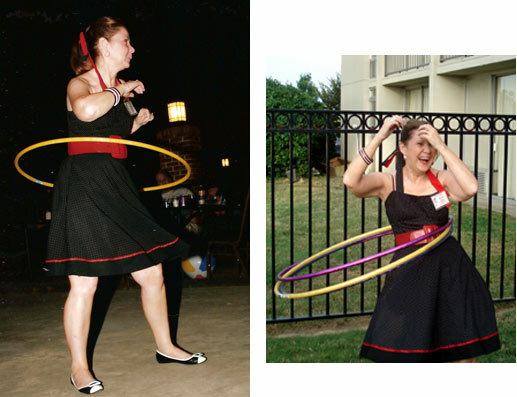 The festival’s Bonnie Boyd demostrates the art of the Hula Hoop for the upcoming Hula Hoop contest participants. 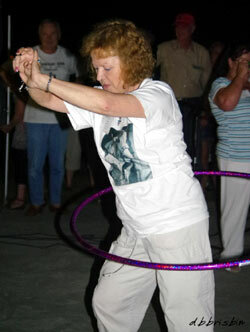 Darlene Tyler was one of three ladies who tied for 1st place in the pool party Hula Hoop contest. The others were Debbie Johnson and Fliss Bonello. Each won $10 and a year's subscription to WESTERN CLIPPINGS. 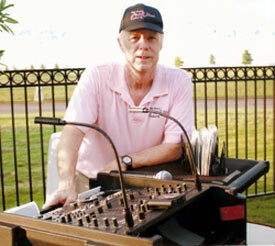 Longtime Memphis D-J Alex Ward provided all the oldies rock ‘n’ roll for the pool party. 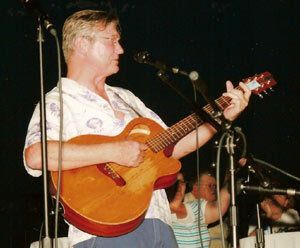 Western music entertainer Stan Corliss performed at the pool party. 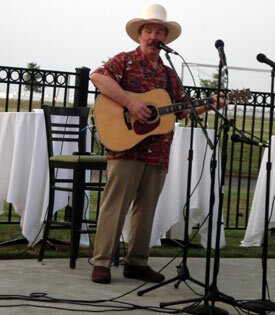 Randy Boone entertains at the pool party. 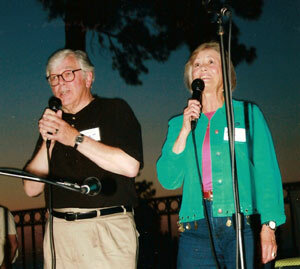 Roberta Shore and her husband Ronald Frederickson sang acapella at the pool party. Terry also has for sale a 65 minute DVD history of the Memphis Film Festival with celebrity film clips and interviews with Packy Smith, Ray Nielsen, Fred Davis and Boyd Magers. $12 ppd. to Terry Swindol, 203 Bluebird Dr., Tupelo, MS 38804. Rock ‘n’ Roll! 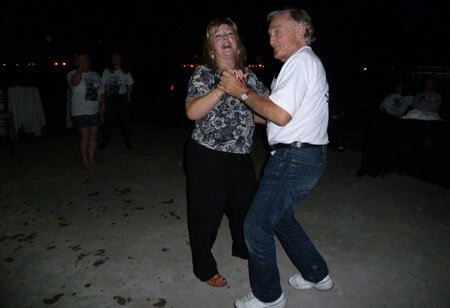 Peter and Lynda Ford swing out at the pool party. 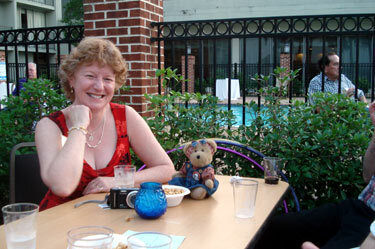 Even teddy bears came to the pool party "picnic". Felicity (Fliss) Bonello of Australia and Little Evy of Canada. 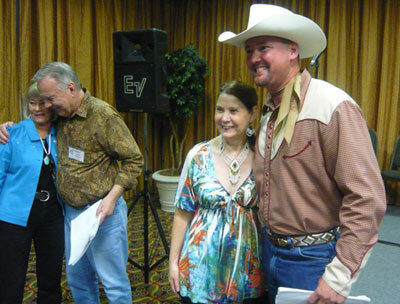 Roger Mobley (“Fury”, “Gallegher”) also sang at the pool party, but here he poses with festival helper Jimmie Covington. 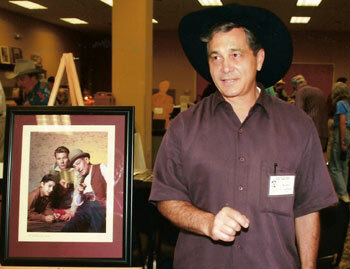 Bobby Crawford stands next to a cast shot of himself, John Smith and Hoagy Carmichael on “Laramie”. 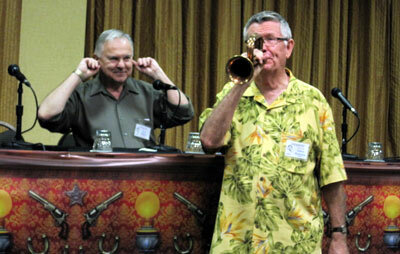 It still hurts my ears to hear James Hampton, bugler Dobbs on “F-Troop”, toot his horn. 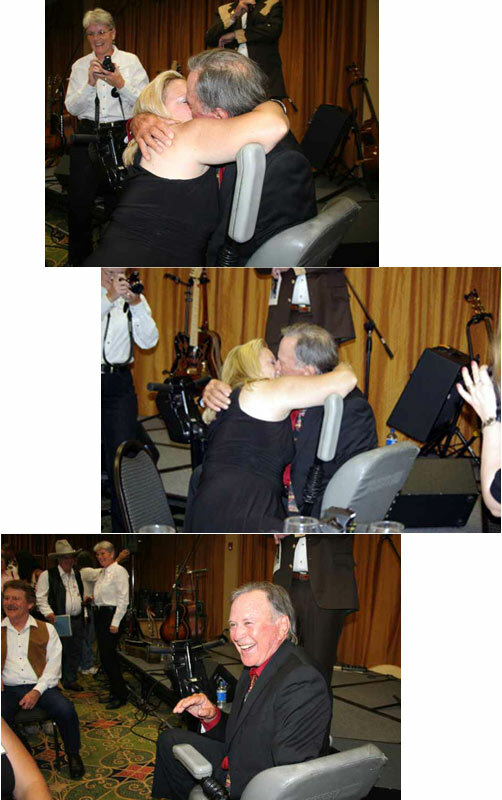 “Roy Rogers” radio show recreation. 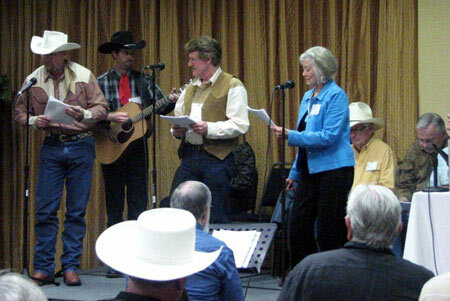 Dustin Rogers as Roy Rogers, John Fullerton of The High Riders, Johnny Washbrook as the announcer and Roberta Shore as Dale Evans. James Hampton (seated) played Pat Brady and Boyd Magers (far right) was the nasty heavy. The director of the show was Gary Yoggy. 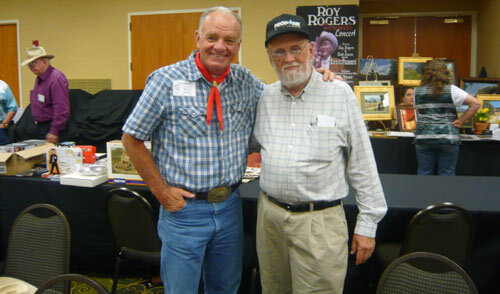 Photo taken right after the “Roy Rogers” radio show recreation. 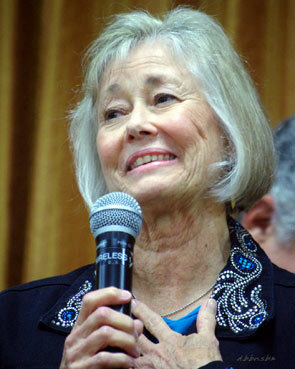 Roberta Shore and Boyd Magers, Bonnie Boyd and Dustin Rogers. 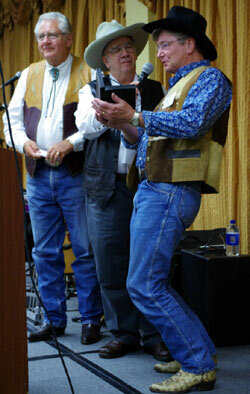 Randy Boone accepts his “Gathering of Guns 3” from emcee John Buttram and festival co-sponsor Ray Nielsen. William Smith with his “Gathering of Guns 3” award, presented by Boyd Magers, John Buttram and friend Robert Wolders. Festival co-sponsor Boyd Magers personally presented an award to Bonnie Boyd for all of her diligent and tireless work behind the scenes on “A Gathering of Guns 3” before and durring the festival. Bonnie deserved every possible accolade. 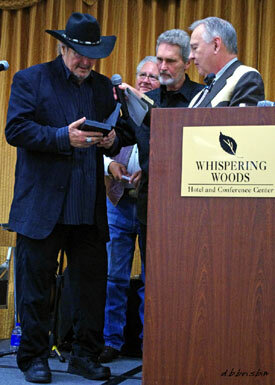 Gary Clarke accepts his “Gathering of Guns 3” award. 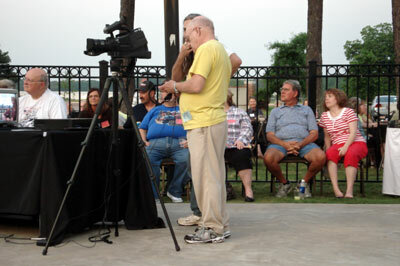 Emcee John Buttram stands by. 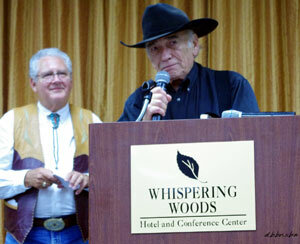 “The Virginian”, James Drury thanks the audience for his “Gathering of Guns 3” award. 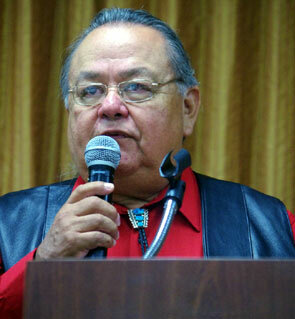 Tony Numkena (Keena on “Brave Eagle") accepting his “Gathering of Guns 3” award. 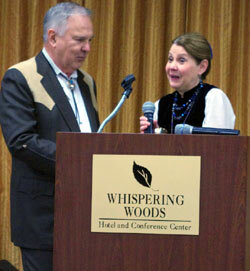 The forever cute Roberta Shore accepts her “Gathering of Guns 3” award. 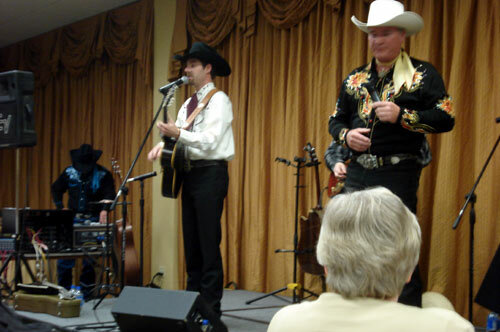 Dusty Rogers and son Dustin Rogers and The High Riders gave us terrific 100 minute western music concert at the Saturday night banquet. 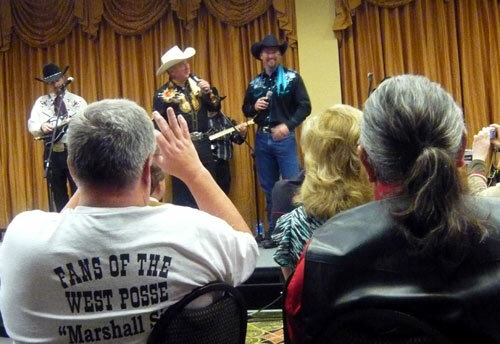 John Fullerton of The High Riders and Dusty Rogers perform at the banquet. 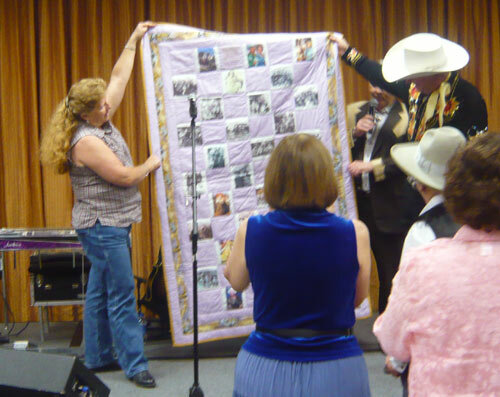 Donna Wilmeth presented her handmade Roy Rogers/Dale Evans quilt to Dusty Rogers at the end of the banquet. The ever gracious Donna handmade several other quits representing stars attending the festival and they were auctioned off to raise money for “A Gathering of Guns 4” May 31- June 2, 2012. Here, up close, you can see what a wonderful job Donna Wilmeth did in making these celebrity quits. 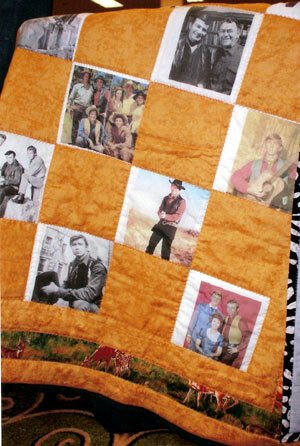 This is the "Virginian” quilt which was auctioned off. 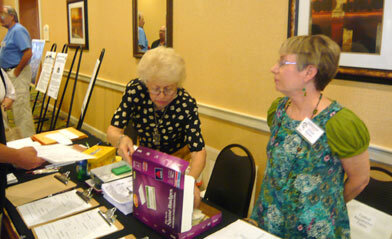 All photos from “A Gathering of Guns 3” courtesy of Donna Brisbin, Janey Miller, Ray Nielsen, Jimmie Covington, Fliss Bonello, Donna Magers, Richard Dzwonkiewicz, Mary Olsen and Bea Quindlen. More photos on page 1.